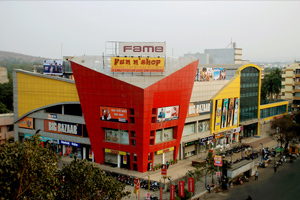 Jai Hind Cinema Hall in Khadki Pune is one among the first few movie theatres. It is the authenticity as well as the simplicity of this place because of which it still has good business. People enjoy watching movies here as they always have new releases and the movie timing is quite comfortable to viewers. The show timings sometimes pose a threat to a certain group of crowd in certain places but this is not the case in this theatre as it has great show timings. Since this is just behind Khadki railway station crowd is quite high even during weekdays. People who constantly travel for work nearby also come here to catch a movie whenever possible on the go as this place has a really low price although the seating and the picture as well as sound quality is quite decent. Jai Hind Cinema speaks of a traditional ambience as this place is one of the oldest halls in Pune and hence is a great attraction for some middle age crowds. Also these days entertainment in multiplexes doesn’t come cheap and not everyone can afford it easily so a major part of the middle class crowd considers this theatre as a decent one for them to watch movies at a great price that is affordable.